Schmitten 18 km from Davos: Beautiful apartment block "Eva". On the outskirts, in a quiet, sunny position. In the house: washing machine (for shared use). Communal covered parking. Shop 400 m, restaurant 4 km, bus stop 400 m, thermal baths 5 km. 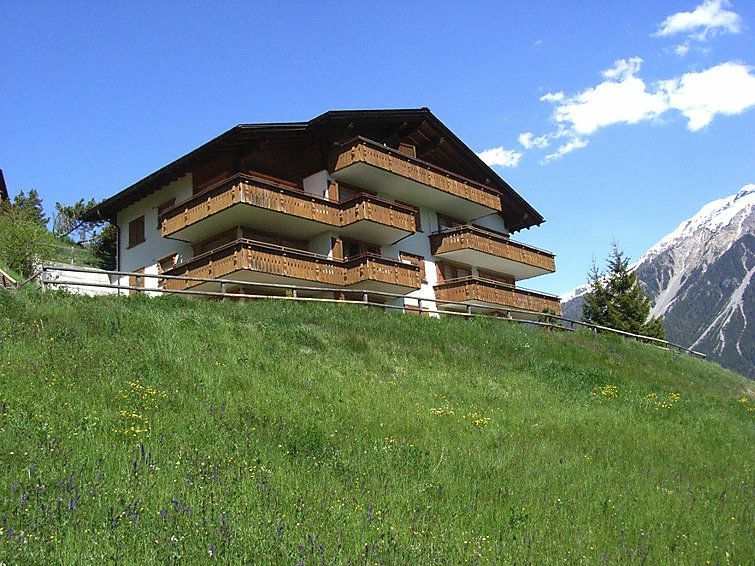 Golf course 5 km, slopes 18 km, cross country ski track 300 m.
2-room apartment 50 m2 on 3rd floor, south facing position. Beautiful furnishings: living/dining room with 2 beds and satellite TV (flat screen), radio. 1 room with 2 beds. Open kitchen (oven, dishwasher, microwave). Bath/WC. Balcony. Terrace furniture. Very beautiful view of the mountains. Facilities: Internet (WiFi, free).